Enhance the well-being of children, adults, and families by providing professional, responsive, caring, and supportive service. 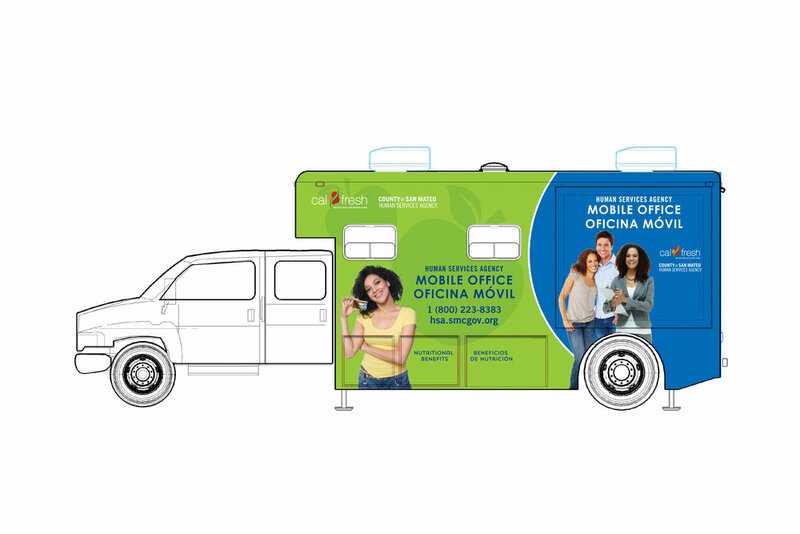 The challenge was to create co-branded graphics for SMC HSA & CalFresh mobile office. The mobile office is to reach community members who need services. Full color vehicle wrap - front, back, passenger and driver side.